Business schools trust the GMAT exam to make admissions decisions. The GMAT exam – administered by the Graduate Management Admission Council (GMAC) - has become the most reliable yardstick for assessing individual potential for success in the classroom. Now at Option - Training for the GMAC Executive Assessment Test. Considering the importance of the GMAT in articulating your potential for a management program it is wise to find the right GMAT preparation course and training classes in Dubai with the best mentors to help you through the exam. But trying to fit training for the GMAT course into your challenging professional or academic schedules is not easy. 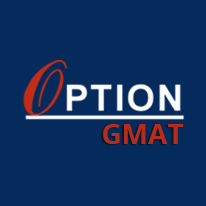 Option Training Institute Knowledge Village Dubai UAE, after having trained more than 1500 students and professionals for the GMAT over 15 years, has conceived a truly bespoke GMAT training platform for you. Our training philosophy is flexibility and as such we have taken care to come up with best Dubai GMAT preparation courses that are tailor made for you! The most innovative aspect of these prep courses is that each test taker is first evaluated and if necessary given one on one sessions before being put into a group. This ensures that the preparation is well structured and more meaningful for the student. Another strong feature of our GMAT prep courses in Dubai is that they incorporate special study materials and learning processes designed through research and intelligent interface with the test. Option tutoring center courses work to instill in students a de-constructive approach towards the GMAT exam in Dubai and to enhance their skills both inside and outside the classroom. We have special practice question sets and GMAT sample tests apart from an exceptional coaching staff that has years of experience and a rare passion for teaching and guiding people. Our teachers and trainers not only have a great track record that invigorates our students to achieve high but also a special talent to help the students acquire the right spirit for the test. A standardized test, the Graduate Management Admissions Test, measures Verbal, Mathematical and Analytical skills, and is administered by the US-based "Pearson VUE”, under the directions of the Graduate Management Admission Council (GMAC). The examination is entirely computer-based, and since questions are in a pool no two test takers get the same set of questions. The test comprises of four sections that come in the following order – Analytical Writing, Integrated Reasoning, Quantitative, and Verbal. Section 1: AWA: Analysis of Writing Assessment. This 30 minute section requires test takers to write an analysis of an argument. Although the score of this section is not incorporated into the 800 score of the test, test takers must be serious about their performance here since the best business schools pay attention to AWA scores while reviewing applications. The AWA assignment is graded on a 0-6 scale in 0.5 increments. Section 2: IR: Integrated Reasoning. This is also a 30 minute section which tests the student’s ability to read, understand, and interpret the information presented in the form of texts, tables, or graphs. Unlike as on the Math section of the GMAT, on the IR section test takers have access to an online calculator. This considerably eases the pressure of answering 12 Questions in 30 minutes. The section score is not incorporated into the 800 score and is reported independently on a scale of 0-8 in 1 point increments. Section 3: Quantitative. This is a 75 minute section comprising of 37 Questions of Problem Solving and Data Sufficiency. Quantitative scores are from 0 to 60 (scaled score), with a 51 scaling a 98 percentile. Section 4: Verbal. The last section of the test, the Verbal Section, comprises of 41 Questions that are to be done in 75 minutes. Verbal score are from 0 to 60 (scaled score), with a 45 scaling a 99 percentile. The total score of the GMAT is 800, made from a combination of the scaled scores of Sections 3 and Section 4. Preparation packages available at Option for GMAT test preparation in Dubai. 48 hours of GMAT classroom training in just 8 weeks!!!! Smart teaching methodology that guarantees participation and of course scores! Rolling entry facility which allows you to join any day!!!! As soon as you ready and have met our counsellor to plan your modules and strategy you can get started. Intensive class room training and subsequent practice sessions for each section of the test. Essential tactics for mastering each section. Frequent interface sessions. You will be informed of extra classes to deal with particular topics. Verbal was never more fun! 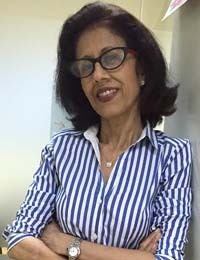 Train with the most experienced verbal trainer- Dr. Radhika Vikramjeet....and assure that you can nail the most challenging part of the GMAT….the verbal section!!! !